Polling for the First phase of panchayat polls started in 16 districts from 7 am today. A total of 97,45,709 voters will exercise their franchise in 14,077 polling booths to decide the fate of 43,515 candidates contesting in the four tier 15,899 constituencies. The ruling BJP, the Asom Gana Parishad, the Congress, the All India United Democratic Front (AIUDF), and All India Trinamool Conngress (AITMC) are locked in a tight battle. An unprecedented security arrangement has been made by the administration to avoid any kind of untoward incident during the highly mercurial elections. 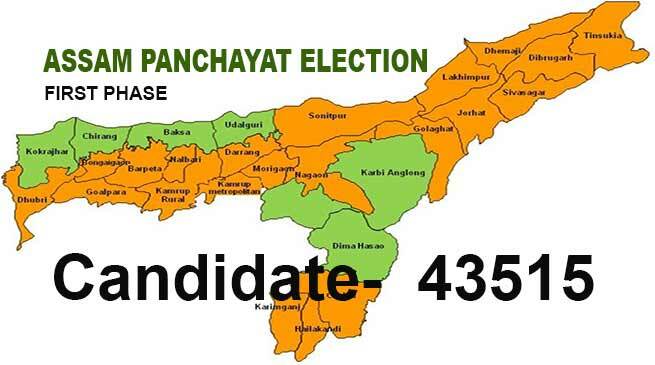 This year 796 candidates are contesting for 251 Zila Parishad Member constituencies, 3,799 candidates for 1,304 Anchalik Panchayat Member, 4,155 candidates for 1,304 Gram Panchayat President and 34,756 candidates are contesting for 13,040 Gram Panchayat Member constituencies. 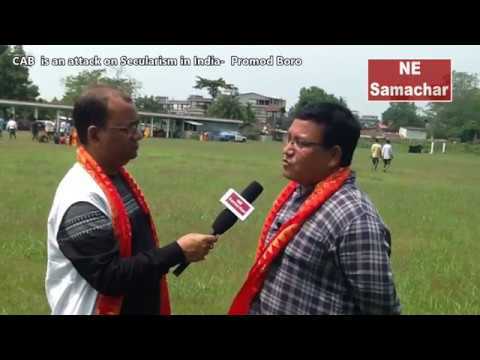 The injured person was identified as Gyanendra Rajkhuwa. man also tried to attack the police personnel. man compelled police to fire on him as he attacked four persons with the sword. 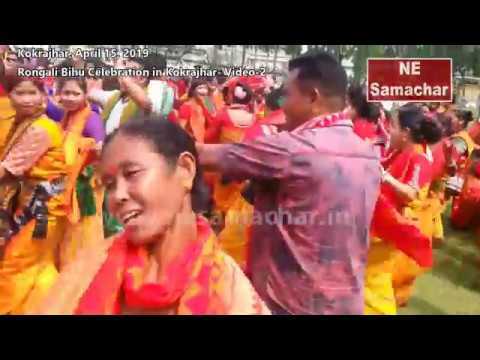 polling is in Tinsukia, Dibrugrah,Sivasagar, Charaideo, Jorhat, Majuli,Golaghat, Nagaon, Dhemaji, Lakhimpur, Biswanath, Sonitpur, Darrang, Morigaon, Kamrup (M) and Kamrup. Meanwhile, over 70,000 polling personnel and more than 50,000 security personnel have been deployed in the first phase rural poll and they are leaving for their respective polling booths since Tuesday morning. On the other hand, 734 candidates have been declared elected unopposed including 442 candidates for the first phase and 292 for the second phase. 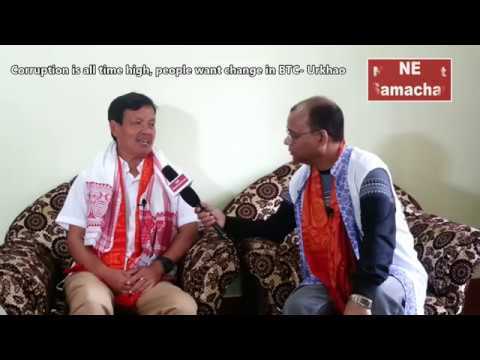 Candidates of 734 Panchayati Raj Institutions (PRIs) constituencies have been declared elected unopposed and among these candidates – 380 are from the BJP, 193 from the Congress, 28 from the AGP, 10 from the AIUDF, one from the CPM, five from the Bodoland Peoples Front (BPF) and 117 Independents.